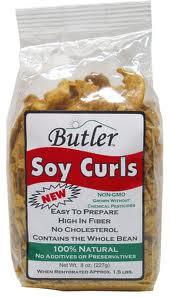 I admit I am a newbie to the whole soy curl craze. I tried them for the first time last month. What took me so long I guess was the fact I was put off by the idea of reconstituting my food with water - it reminded me of the bad veggie burger mixes of the mid 90s that I bought in the bulk bins! However once I made soy curls I became hooked! 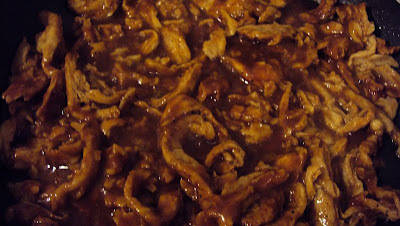 To make BBQ soy curls that will feed 2-3 all you need is half a bag of the reconstituted soy curls - drained, your favorite BBQ sauce (1/2 a small bottle should be fine - use any left overs you have in your fridge), some canola oil coating a large non stick pan and about 20 minutes. Mix the sauce and soy curls together, while you warm up the oil in the pain on medium, toss in the coated soy curls, cook on a medium setting, tossing every 5 minutes till they are heated through. Plate and serve. 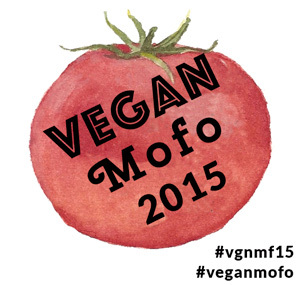 We serve them with mac and cheeze! Crazy good! Currently Never Felt Better is my go to source for soy curls! Go buy some today!